However, despite the fact that split-screen layouts are white-hot trendy, it is a bold stylistic decision that can hurt the user experience if there isn't a sound, logical reason behind your choice. Saying that, when executed correctly it can offer users a wonderful viewing experience. Why Use a Split-Screen Layout? 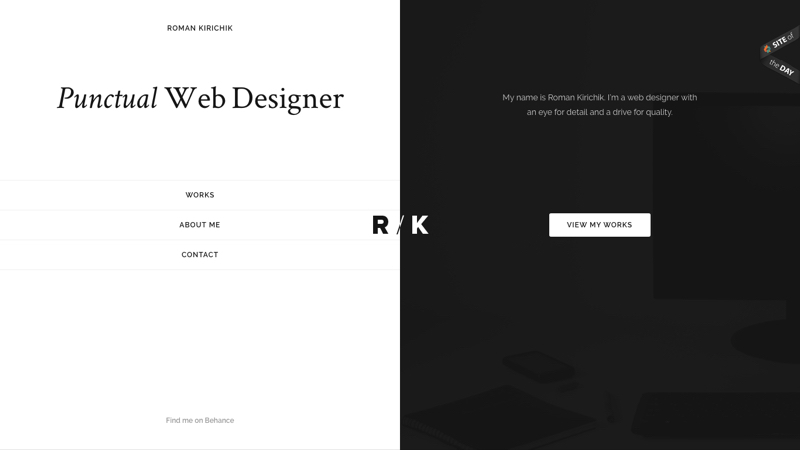 Split-screen components work best in minimalist web designs because the negative space combined with the bold vertical divide adds a supreme amount of focus on the important areas. Aside from these advantages, the benefits to split-screen layouts extend way beyond visual aesthetics; they’re especially effective for landing webpages with two side-by-side selectable options. First, let's take a look at some terrific examples and discuss why they work so well for their use-case. Split-screen layouts can be used in many different ways, so the advantages vary from site-to-site, depending on what the website sets out to achieve. 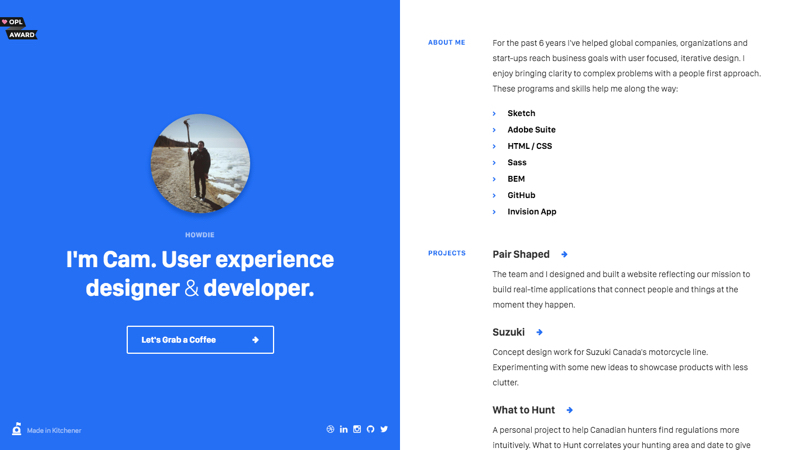 Full-width “big header” designs are still quite common – it’s a huge trend and rightfully so, however, there’s rarely an opportunity to use bold imagery due to the lack of text legibility (we usually have to the blur the image or add a colour overlay). 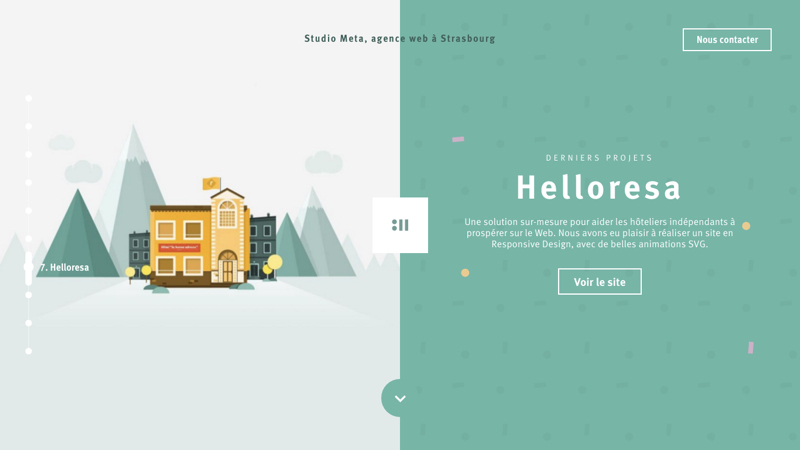 Split-screen layouts solve that, and Studio Meta shows us exactly how. By having the image and content side-by-side, we can use images that are more colourful, more courageous, and with a much deeper meaning because we don’t have to obscure the image in any way. Split-screens don’t have to consist of two 50/50 components – Bose takes this trend to the limit, although I did notice that the website doesn’t even try to adapt to smaller screens. Regardless of how beautiful this looks, responsive design is something you have to consider, and it can be quite hard to adapt split-screen layouts to smaller devices. 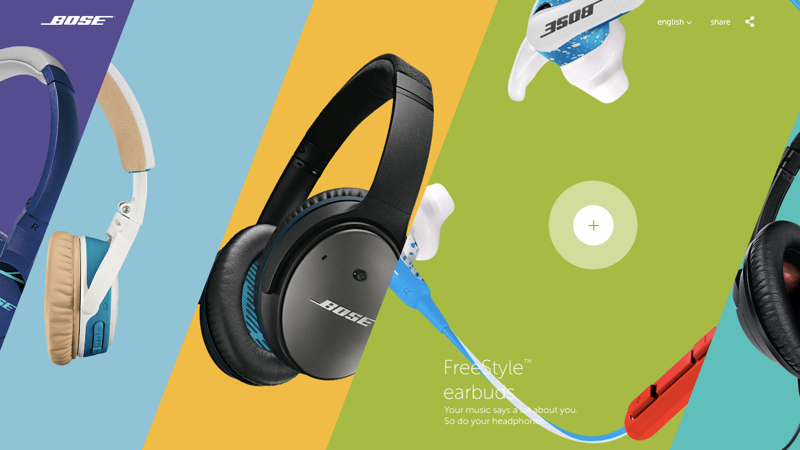 Aside from that, this is my favourite split-screen example because the layout allows Bose to show off each item with a unique personality by using different colours. 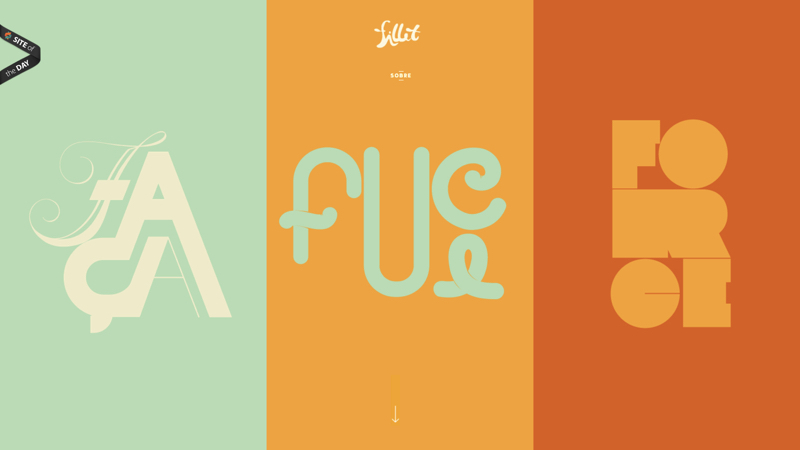 Combined with the edgy diagonal shapes, this website really catches my eye. Fillet is another wonderful example of how split-screen layouts can inject individual personality into web components of equal importance. Plus, because there are only three vertical columns and almost no content (each column showcases artwork), this displays correctly on mobile devices. Split-screen components do have one *dis*advantage: they’re not very mobile-friendly. It’s difficult to make them responsive and adapt to smaller screens (with the exception of tablets in landscape view) – you’ll almost certainly have to scale back to something more modest and that may require a little more coding than usual, so make sure you take a mobile-first approach. You should first consider whether your website even needs a split-screen component. Sure, it's 'on trend', and it looks very cool, but that alone is not enough reason to implement it. Is it worth the extra work to make the component responsive? Are your users trend-conscious enough to appreciate the layout, or will it confuse them? Are you in danger of splitting your user's attention in half when a more singular focus would be a better outcome for you? If any of these answers are no, then you should vote against the idea. Desktop websites display horizontally, but when using split-screen layouts each component becomes a sort-of vertical viewport within the main viewport. Because of this, there are many more chances to explore new ways to display content. It’s definitely an opportunity to be creative, so stick your creative cap on! Split-screen layouts are attractive, and as we saw from the examples, the benefits of the trend differ depending on what the website is setting out to achieve; they can be used to define different identities for each column, or they can be used for a far simpler reason: to keep everything above-the-fold in minimal websites that don’t require the whole width of the viewport. If you haven’t tried designing a split-screen layout before, what entices you to try it now? Is it the visual aesthetics, or the chance to experiment with new ways to display content?